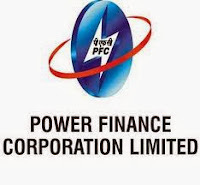 Power Finance Corporation (PFC) has come out with a Public Issue of Tax Free Secured Redeemable Non-Convertible Bonds with a Face value of Rs 1,000 per Bond. Power Finance Corporation (PFC), a Government of India (GoI) undertaking, is one of the leading financial institutions providing financial assistance to the power sector in India. It finances and promotes power transmission, distribution and generation projects in India. Offer to the issue opens on 14th October 2013 and closes on 11th November 2013. However the Issue may close on such earlier date or extended date as may be decided by the company. The Bonds are issued in the form of tax-free, secured, redeemable, non-convertible bonds and the interest on the Bonds will not form part of the total income as per provisions u/s. 10 (15) (iv) (h) of I.T. Act, 1961.
Credit rating agency ICRA has rated the Bonds under this offer as “ICRA AAA” and CARE has rated the Bonds as“CARE AAA” and CRISIL has rated the bonds as “CRISIL AAA/Stable”. Instruments with this rating are considered to have the highest degree of safety regarding timely servicing of financial obligations. Such instruments carry very low credit risk. The security for the Bonds proposed to be issued, being a charge on the book debts of the Company by a first/pari passu charge, and/ or any other security, pursuant to the terms of the Debenture Trust Deed, to be created within one month of Deemed Date of Allotment, in accordance with the SEBI Debt Regulations. The Company shall create DRR of 25% of the value of Bonds issued & allotted for the redemption of the Bonds. PFC will pay interest to the successful allottees on their application money at the applicable coupon rates, from the date of realization of application money up to one day prior to the deemed date of allotment. Unsuccessful allottees will get interest @ 5% per annum on their refund money subject to deduction of income tax under the provisions of the Income Tax Act, 1961, as amended. Allotment of Bonds can be in both dematerialised and physical form to all Applicants other than QFIs. Allotment to QFIs shall be made in dematerialised form only. Investors can pledge or hypothecate these bonds to avail loans. The bonds will be listed on Bombay Stock Exchange (BSE).